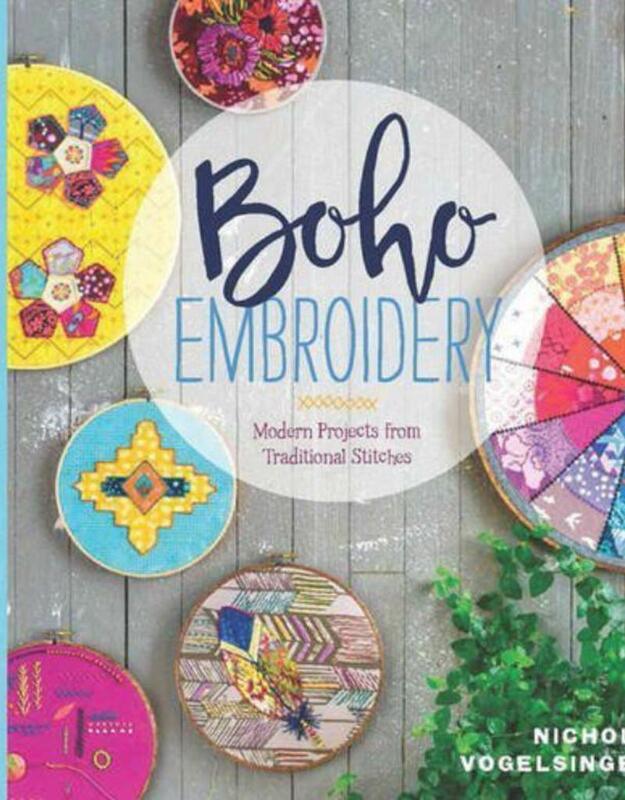 Throughout the book you’ll be inspired to find your muse through thrift store finds such as retro tablecloths and feed sacks, and in more typical places like on novelty fabric and in nature. The world becomes a celebration that you can capture with just bits of fabric, and without being confined to four walls. 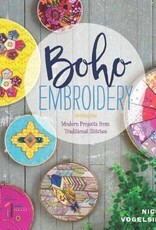 Grab a hoop, break out all of your favorite fabrics and threads, and explore your "boho" side!